WASHINGTON — SpaceX Chief Executive Elon Musk said Nov. 4 he expects the Falcon 9 rocket to return to flight in the middle of December after overcoming a problem he claimed was unprecedented in the history of spaceflight. 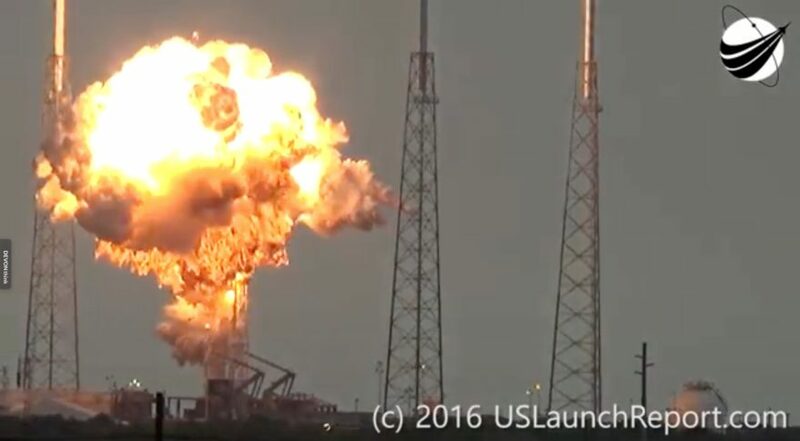 Musk, briefly discussing the status of SpaceX during a half-hour interview on the cable news network CNBC Nov. 4, said that investigators had determined what caused the Sept. 1 pad explosion that destroyed a Falcon 9 and its satellite payload during fueling for a static-fire test. Musk, though, suggested that the puzzle is now solved and that launches can resume in December. “It looks like we’re going to be back to launching around mid-December,” he said. He did not disclose what payload would fly on that return-to-flight mission, or from where the launch would take place. SpaceX’s last public statement about the accident investigation, published on its web site Oct. 28, said that the company had narrowed its focus to one of three helium bottles inside the liquid oxygen tank that burst, noting it was able to replicate the tank failure with helium loading conditions. “The root cause of the breach has not yet been confirmed,” the company said at the time.